It's a special edition of What's in the Box Wednesday! Today I am reviewing the Cooking with Trader Joe's Easy Lunch Boxes cookbook. Kelly Lester, the author of this book and creator of the EasyLunchbox System, sent me a digital copy to peruse and try. The girls and I browsed through the book and they each chose something for me to try in their lunch. Here's how it turned out! Caroline chose this cute Sombrero Man lunch with a bean and rice burrito. And I have to give a shout out to my husband. I don't have the cutters for this, so he cut everything out by hand with kitchen shears. Thanks honey! Isn't this adorable? Addie chose English Tea Sandwiches. These sound so good to me. They are egg salad, avocado, and smoked salmon on gluten free bread. Addie is pretty adventurous with food and she likes all of these ingredients, but I think it would be just as delicious without the salmon for pickier kids. You could also use regular bread. In the small compartments are meringue cookies and chocolate covered prunes. Here are some photos from the cookbook. The presentation is lovely and eye-catching and the recipes are easy to follow. And all of these ideas are not just for kids. 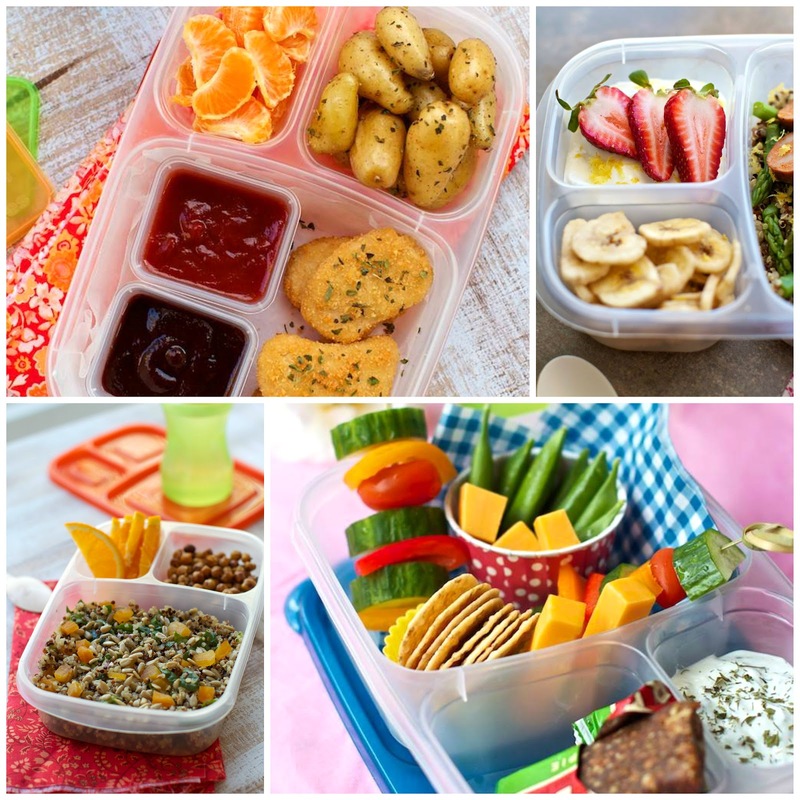 There are some great options for your work lunchbox. There is not a Trader Joe's anywhere near Northwest Arkansas (hey Trader Joe's, we'd love to have ya! ), but that's okay. 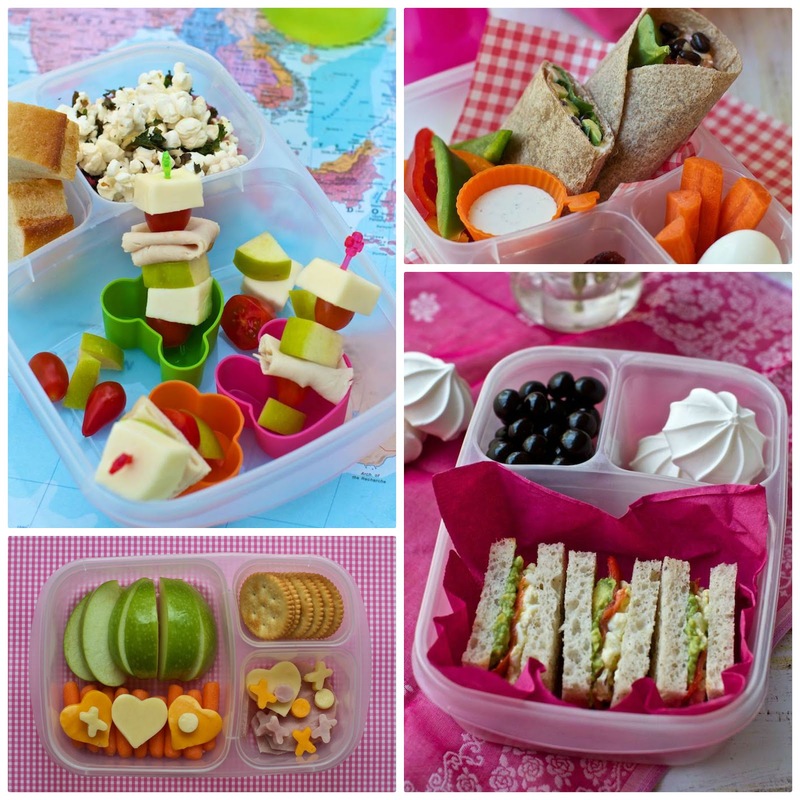 You can find ingredients for most of these lunches in a regular grocery store. And I was happy with the girls' choices. I was able to try one that was a little more involved, and a super easy one. 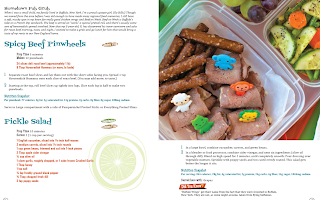 All of the recipes in the book are very doable and there are vegetarian, vegan, and gluten-free options. 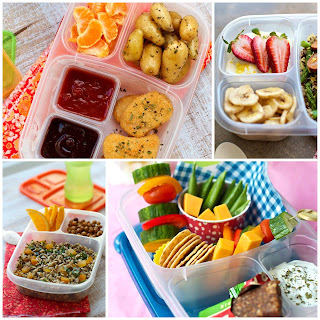 Sometimes it's easy to get in a rut and run out of ideas for school lunches, so there are plenty of great ideas here for inspiration. For more information about this book and EasyLunchboxes go here. You can buy the book on Amazon here. I can't wait to try it out more! Great review! 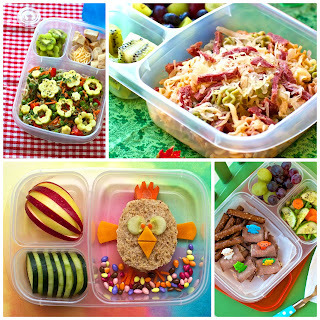 The lunches you made for the girls look amazing -- and sound delicious :) Looks like a creative cookbook! Thanks! It was fun and it IS a creative cookbook. Thanks Kelly! And as an after school update, both girls loved their lunches. My oldest kept going on about how delicious the tea sandwiches were and she had fun going around school saying she was having a British lunch! Ha! Ooooh, I must get this cookbook now!! It looks like a lot of things my daughter already likes to eat, just presented in a much more appealing way. I read there are pictures with every recipe, so I can just let her look at pictures and pick out what she wants. Yay for healthy, easy, and fun. 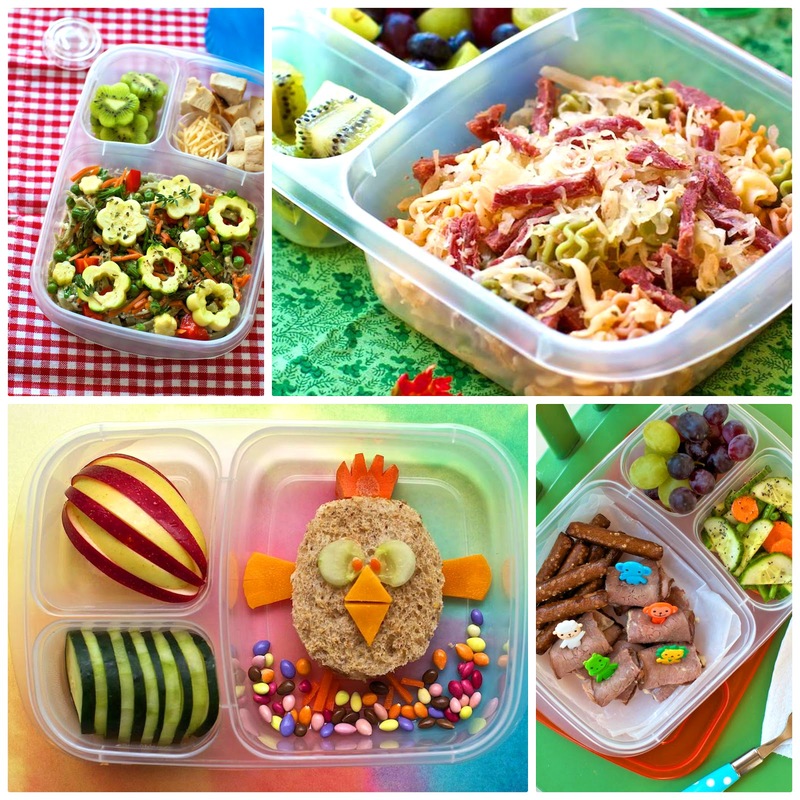 :O) Great review and your kiddos' lunches look great!! That's what we did! The girls looked through the pictures and picked what they wanted. Lots of good looking recipes!